What is it like to live with a chronic illness or disability? How does it feel from the inside? 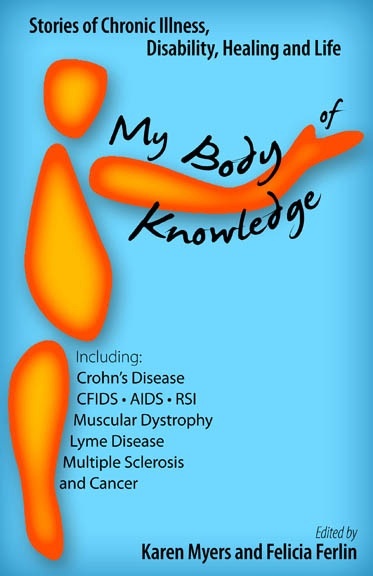 My Body of Knowledge is a collection of personal essays, poetry, and fiction that captures the insight and knowledge that people with disabilities have - simply from living in their bodies. Honest, raw, humorous, and poignant, My Body of Knowledge includes writing from both new and established authors, including Molly Ivins, Floyd Skloot, and Rachel Naomi Remen, M.D. Ranging from cancer to depression, muscular dystrophy to multiple sclerosis, Lyme disease to AIDS, writers share their firsthand experiences of living with these and other conditions. If you or someone you care about is navigating the bumpy road of illness or disability, this book is sure to offer comfort and understanding.